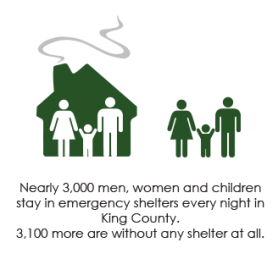 Every night across King County, hundreds of desperate, frightened children and their families sleep in cars, on unfamiliar couches, or in shelters. Many more are faced with the terrifying prospect of losing the roof over their heads because of job losses, illness, broken relationships and poverty. 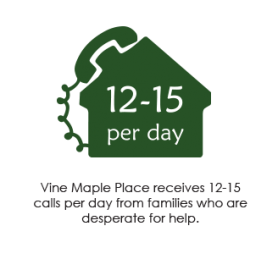 Vine Maple Place is a Christian organization that addresses the complex issues of family homelessness. Our mission is to break the cycle of generational homelessness for single parents and their children by offering safety through various housing solutions, building emotional stability and equipping parents for self-sufficiency. Vine Maple Place considers housing as just the first critical step toward stability. 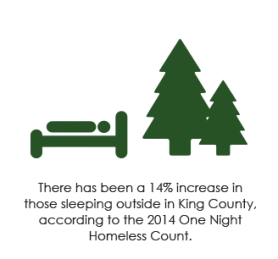 Because many factors contribute to homelessness, we focus on addressing barriers that prevent the family from establishing stability and sustainability. Parents are provided livable-wage development, employment coaching, budget training, instruction in life skills and on-site professional counseling. Children receive services that address emotional development and social skills, academic support, mental and physical health and personal safety. Our mission and vision are acheiveable because of the support of individuals, businesses, churches and foundations who invest their time, talents and financial resources to change the lives of local families. Find out more by reading about our program, watching our video or by signing up for a Vision of Hope.